Ant-Man and the Wasp director Peyton Reed discussed the Quantum Realm during a recent screening of the sequel. After being introduced to the Quantum Realm in the first Ant-Man movie, Reed had to expand upon the idea after knowing that the mysterious realm would be included in the future of the Marvel Cinematic Universe. Specifically, fans are going to see how Scott Lang escapes in Avengers: Endgame, and many are wondering how the Quantum Realm will factor into the highly anticipated movie. While Peyton Reed was able to discuss the Quantum Realm, he obviously could not go into anything having to do with Avengers: Endgame. However, he did mention some pretty interesting facts that we were not aware of. Reed admitted that he was fully aware of the micro-verse from being a young fan of Marvel Comics and then went into how he approached the Quantum Realm for Ant-Man and the Wasp. He explains. Peyton Reed then went into some specifics about the Quantum Realm and just how big it actually is. So far, we’ve only scratched the surface of what’s there and what’s possible in Ant-Man and the Wasp, meaning that Avengers: Endgame may spend some time explaining what happened to Janet van Dyne down there. The director hinted that there might be some kind of culture in the realm and that Janet was not alone. He had this to say. When it comes down to it, Janet van Dyne might have a larger role to play in Avengers: Endgame than previously thought. While that has yet to be proven, there have been some pretty good theories floating around lately that have to do with Quantum Mechanics and the universe possibly being split in half after the Decimation. If this is true, Janet may hold the key to many of the answers from the Quantum Realm and how to possibly navigate through it. Peyton Reed further explains. Related: Can Ant-Man 2 Topple The Rock’s Skyscraper at the Box Office? 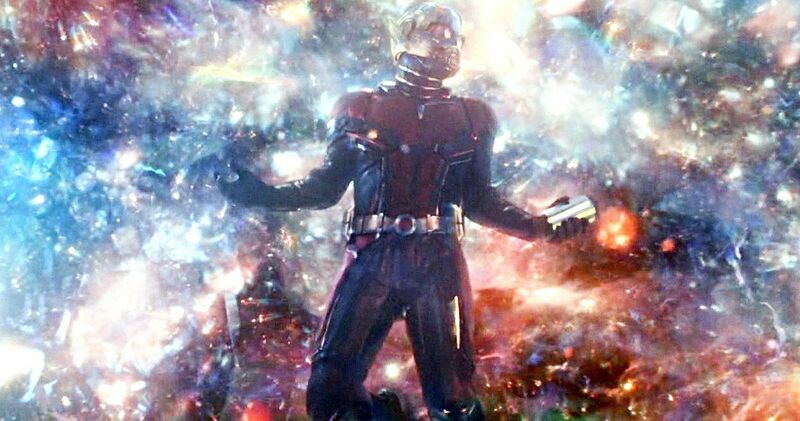 Obviously, the plot to Avengers: Endgame is being kept under wraps, but we will have to see the Quantum Realm at some point, especially to see how Scott Lang was able to escape. Will the mysterious realm contain all of the answers to deal with Thanos and the Decimation? That’s a whole other story at this time. However, the wait is nearly over, so we’ll find out soon enough. The Quantum Realm information was first reported by Collider.